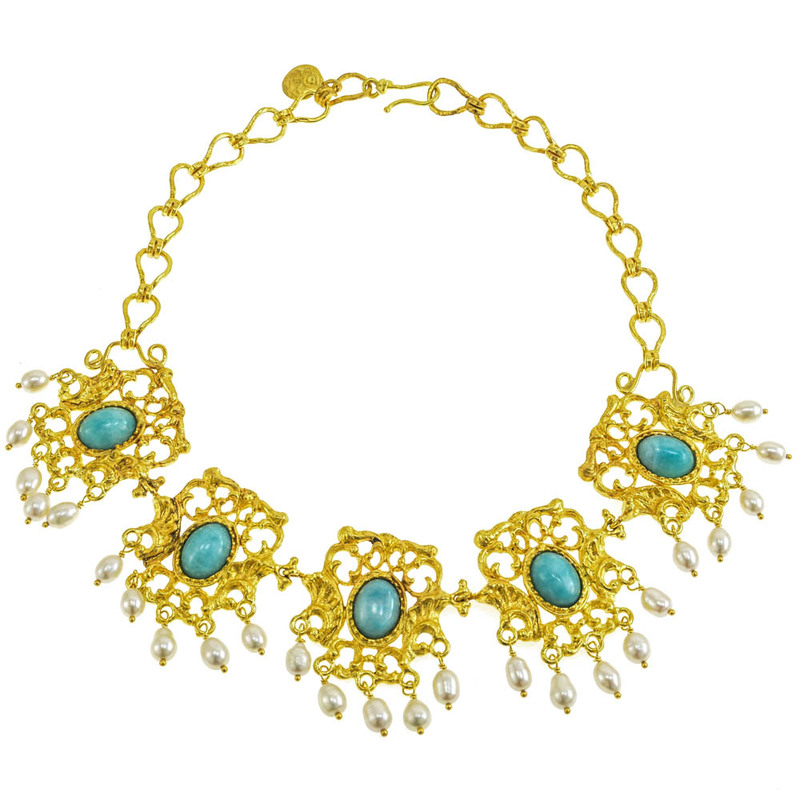 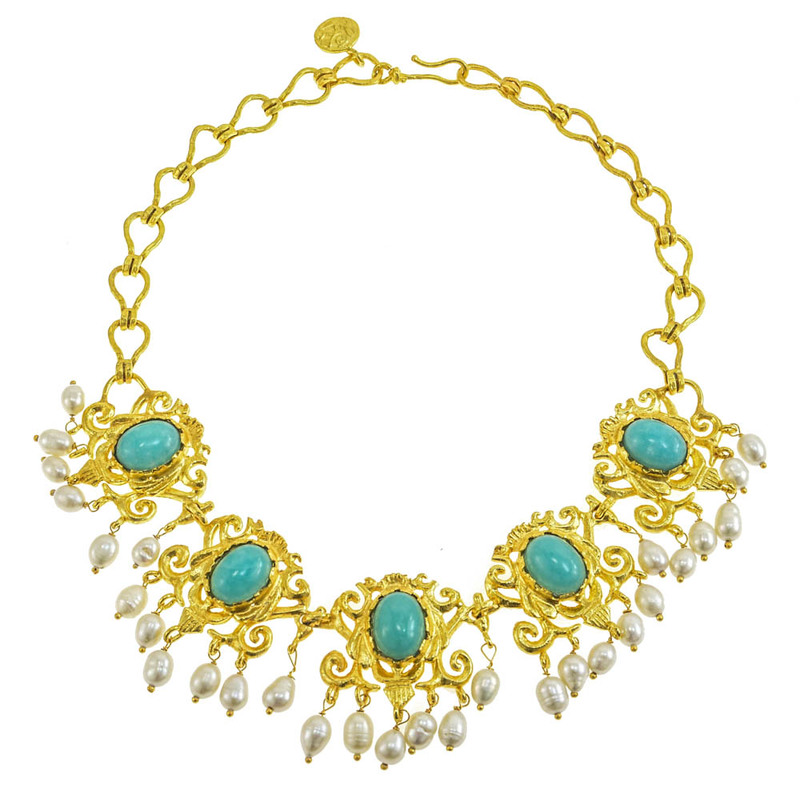 This bold piece makes a statement with its aesthetic and symbolic beauty. 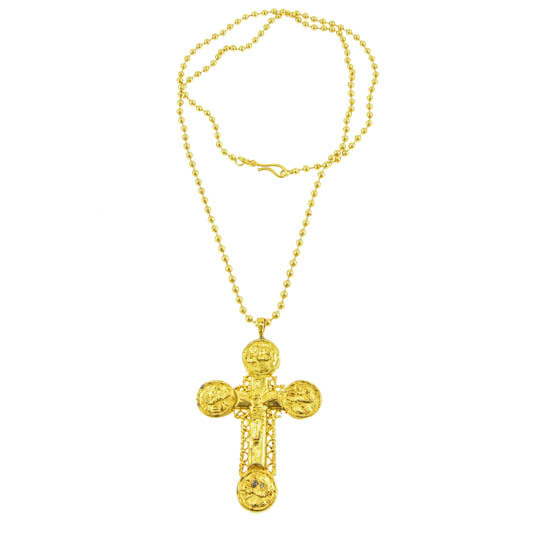 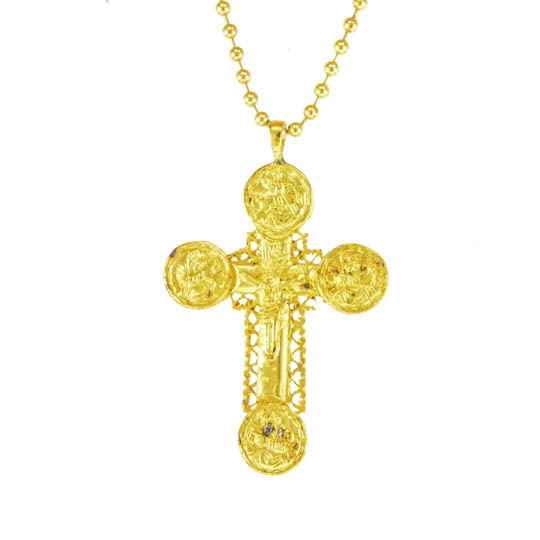 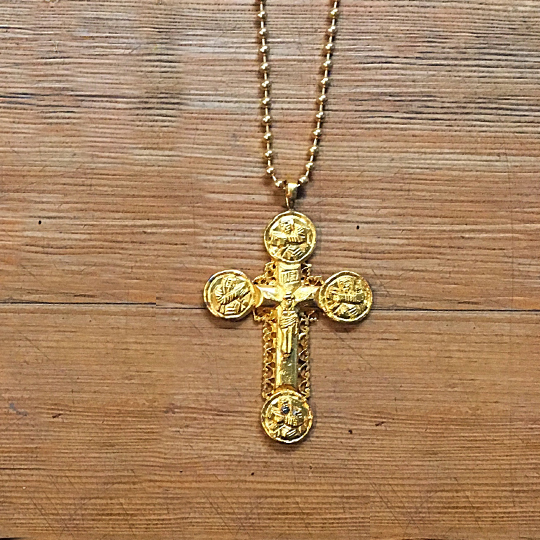 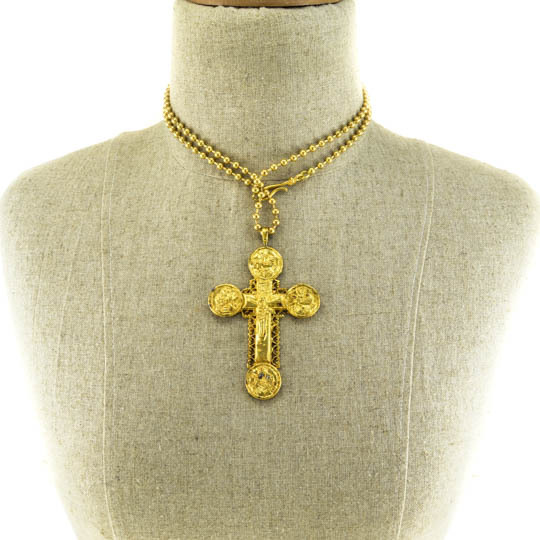 Each point of the gold-plated crucifix features a filigree icon of Gospel authors, making this necklace stunning from every angle. 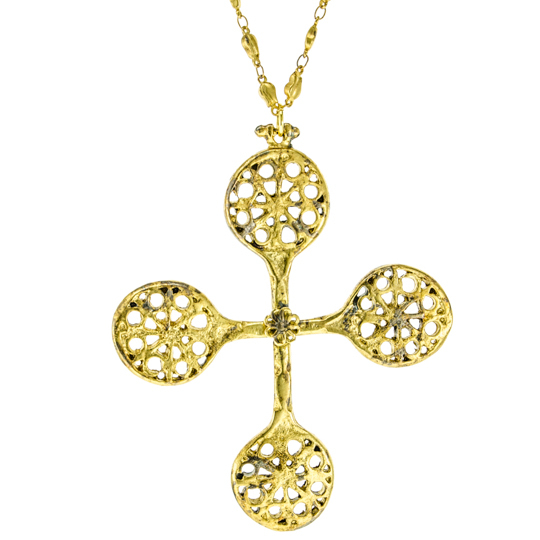 Handcrafted in Istanbul. 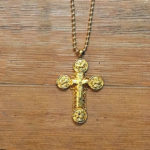 Materials: 18-24k gold plated brass. 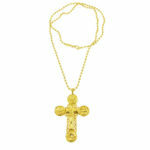 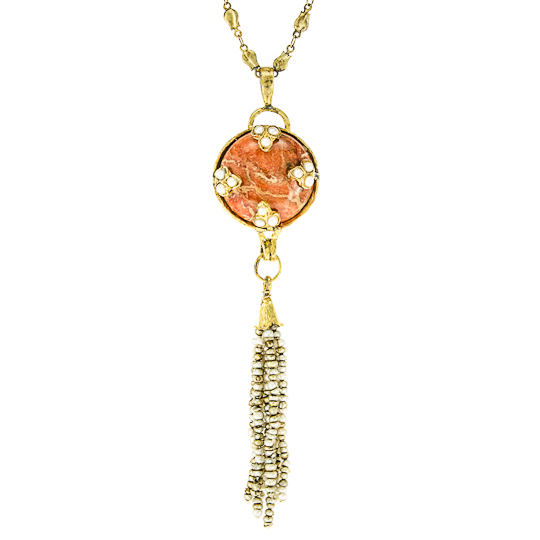 Measurements: pendent width 2.25″, height 3.5″, chain length 36″ (drop 18″).